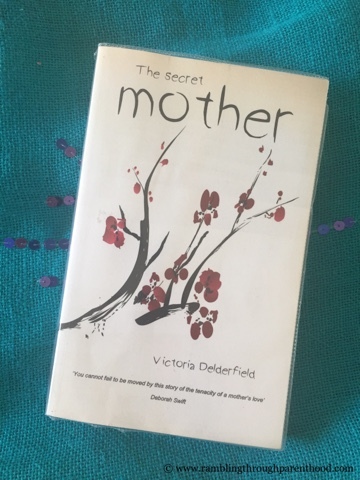 The Secret Mother by Victoria Delderfield is the survival story of a young Chinese girl and her struggles as a mother of twin daughters. The story spans two countries over two decades and cuts back and forth between the past and the present. The present is where her twin girls are growing up in the west. The past is China after the revolution, a post-Mao China that is desperately trying to keep pace with change. Mai Ling (May) is a naive 16-year-old who runs away from her home in rural China to the city in an attempt to escape an arranged marriage. She has stars in her eyes and big ambitions. The disillusionment that follows is inevitable. From working under inhumane conditions in a factory to living on the fringes of development in the constant hope of a better life, May finds her dreams in tatters. Is she a victim of her own making or a one of circumstance, is open to debate. While May is a mother’s struggle, the twins’ face an identity crisis that I can closely relate to. Integration is all very well. But growing up knowing your roots lie miles away in another land, in another language, in another heritage is never easy. The questions are incessant. The need to find oneself is ever present. The contrast between the two worlds - the one inhabited by May, the other by her daughters, is stark and well-illustrated through the narrative. While most things change, the emotional struggles of a 16-year-old girl remain the same, no matter what the difference in upbringing. The book is well-written and served as an eye-opener to what was so far hearsay. There are parts though, that could have done with in-depth handling. Like when May escapes to give birth. And her journey to Manchester. These in my opinion, are vital to the story, and could have done with elaborate narratives. Overall though, I found the book engaging and at times, heart-wrenching. I could identify with May’s struggle as a mother trying to do her best by her children. Will I recommend the book? Yes.